CRYSTAL LAKE, Ill. -- A 32-year-old woman has been charged with stealing purses from customers shopping in a northwest suburban Jewel, Target and Walmart in Crystal Lake. During the month of September, several victims reported having their purses stolen from their shopping carts while being distracted, according to Crystal Lake police. Megan Corrales was seen on video obtained by detectives distracting the victims by engaging them in conversation and then taking their purses, police said. Corrales, of the 300 block of West Terra Cotta in Crystal Lake, was arrested Tuesday for three counts of theft and one count of retail theft, police said. 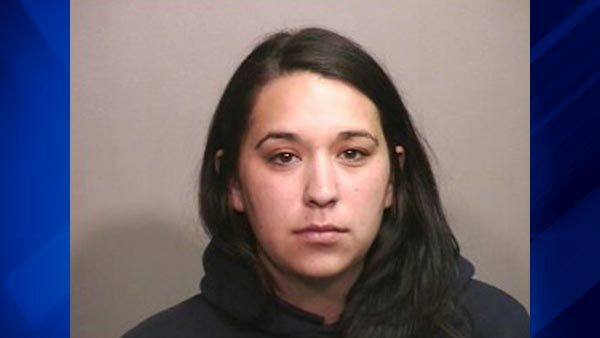 She is currently being held at the McHenry County Jail and her bond is set at $3,500.